Join us for the Arizona premiere of "Mixed Match!" 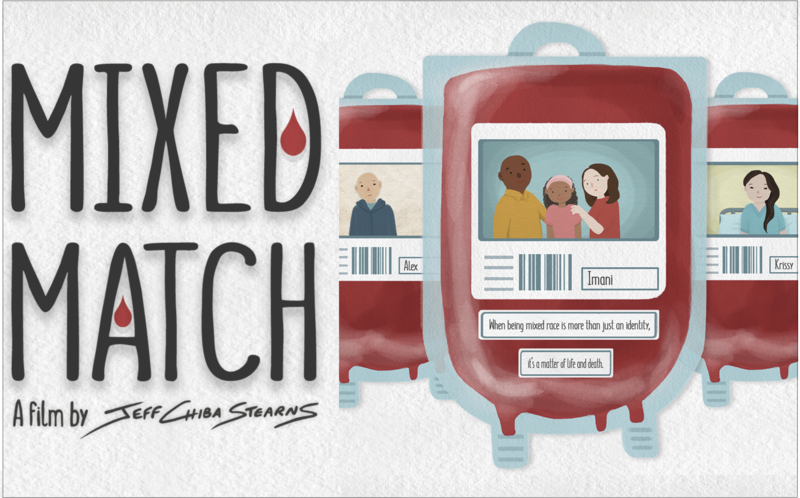 "Mixed Match" is an important human story told by mixed race people who, after being diagnosed with blood cancers, have to begin seemingly impossible searches to find bone marrow and cord blood donors because of their complex genetics. The multiracial community in the U.S. and Canada is one of the fastest growing demographics. This film confirms that being mixed race is no longer just about identity and that it can in fact be a matter of life and death. The screening will be followed by a discussion that will explore disparities and the role race plays in medicine. The entrance on the west side of the building is the closest to room 110. ASU's Health North building is located on N. 3rd and Fillmore Streets in downtown Phoenix. For driving directions, click on the map button below and then select "Directions," or contact our office. There are multiple Visitor Parking options at ASU's Downtown Phoenix campus. The closest parking lot is located directly west of the Health North (NHI) building at 2nd St. and Fillmore St. Review the ASU parking map, https://www.asu.edu/parking/maps/downtown-current.pdf, for all ASU's parking options. Visitors lots are marked in pink and the fee is $3/hour. There are also many City of Phoenix parking meters located on the streets around the building as well as on nearby streets. The ASU Downtown Phoenix campus is accessible by light rail and bus. The closest light rail stop is located at Central Ave. and Van Buren St. For more information about public transportation options, visit the Valley Metro: http://www.valleymetro.org. Volunteer at the "Mixed Match" film and discussion. Your service as a volunteer will help make this program a great success and have a positive impact on our community. Be an Architect of Change and sign up to volunteer with the CSRD!